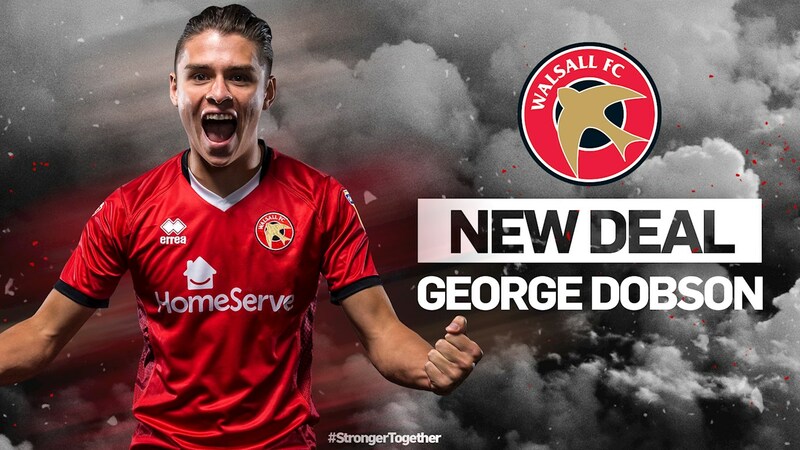 Following the news that he'd penned a contract extension with the club, Walsall midfielder George Dobson has spoken to club journalists and welcomed the opportunity to pen a new deal. George, who should remain with the club until the summer of 2021, has served as club captain in the absence of Adam Chambers and Joe Edwards, entering several superb performances, earning yet more admiration from the Saddlers faithful. Speaking via the club's official website, Saddlers.co.uk, George said; "I am delighted to get it over the line. Coming back in January and kicking on as well as I have done is something I am delighted about. "It was 21 yesterday so it was really nice to get this deal done today. It was a late birthday present and something I really wanted to get done. I can only thank the gaffer and the club for putting their faith in me and giving me this extended contract. "I am going to continue to try and repay that faith as much as I can. We’ve had a bit of a sticky patch in the league but we had a great result against Coventry in the cup last weekend and hopefully we can build on it. I scored my first goal against Fleetwood so hopefully I can get another one tomorrow."